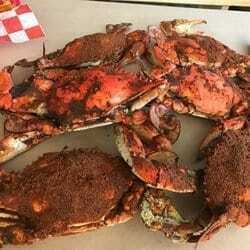 Crabs are all steamed and crab cakes are made in house by the Maryland-born-and-raised owner. Lisa Crowley is the proud owner of the Crab Pot, a restaurant that opened in March at 2901 Hollywood Blvd. The Crab Pot recently hosted a Greater Hollywood Chamber of Commerce Business After Hours. Members and guests of the Chamber enjoyed some fellowship and food at the Crab Pot.